Incredible Diatonic Harmonica in jazz, jazz fusion and world jazz context. 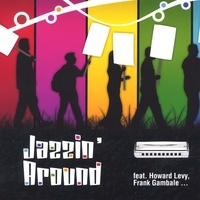 The second cd is the â€œAroundâ€ part joyfully taking the listener from middle-east (The Happy Shiek) to french jazz waltz (Rue de Tribourg) which both features accordion wizard Samuel Garcia, to louisiana (Louisiana) and a very sensitive interpretation of How Insensitive where the harmonica brings a warmth and emotion close to the Blues. Along the tracks David hide his virtuosity behind and inside the music even if when one listens to his arrangement of Paganini Caprice No5 very difficult to believe he is only playing a blues harp .. the same as Bob dylan .... ;) ! "You got a very good album here, everything feels very well produced"